I admit, trucks and tractors are more my thing than sports cars, but who can’t love a beautiful Corvette? Corvettes have been built since 1953 and are an Americana mainstay. The old ones bring on thoughts of old Elvis and beach movies, and a guy with a duck tail and gal with a pony tail spinning out in a vette. 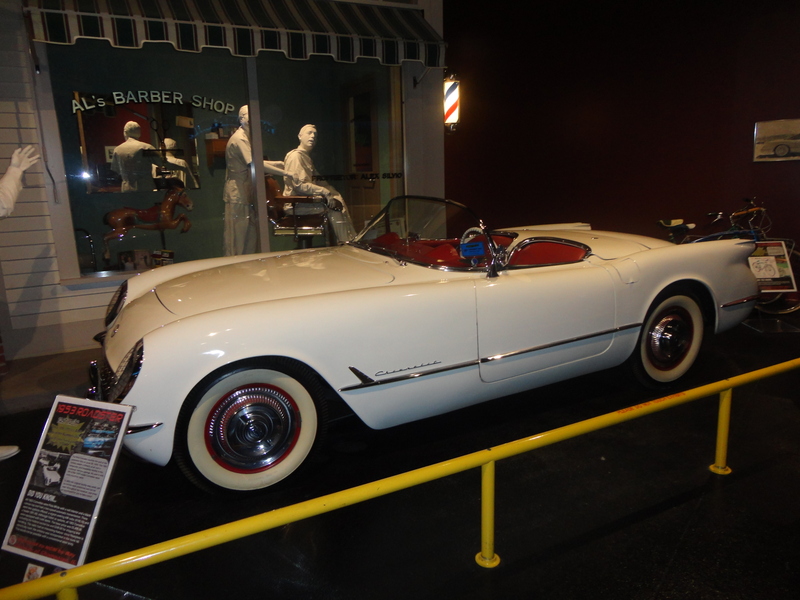 The older Corvettes to me are particularly beautiful and this museum in Bowling Green, Kentucky offers the streamlined beauty that I wanted to see in the cars and the history that my husband and our friends the Elliotts who were with us on this trip longed to learn about. If heading Kentucky way anytime soon, keep this stop in mind! Besides the museum, there is also a public tour offered at the plant. What is fascinating is that the GM Bowling Green Corvette Assembly Plant is the only place in the world where Corvettes are made. The plant is located across the street from the National Corvette Musuem at I-65, exit 28. Logonto http://www.corvettemuseum.org for details! Previous Post: John Deere Pavilion – What’s New?